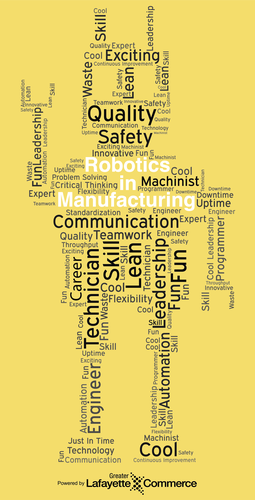 Robotics in Manufacturing camps will be offered again this summer. Join the fun and learn about our local manufacturing locations, STEM-related activities, including programming, robotics, and manufacturing and a Lego League style game. This game is based on the Greater Lafayette area and will provide a fun and challenging opportunity for the kids to learn manufacturing processes, supply chain and quality of life elements. Registration to open soon through the YMCA of Greater Lafayette.